Willie Mae Chambers obituary. Carnes Funeral Home. Mrs. Willie Mae Chambers of Texas City, TX passed away Monday, October 2, 2017 at UTMB Hospital in Galveston, TX. She was born August 24, 1950 in Beggs, LA to Mary Griffin Nimer and Willie Nimer, Sr. She spent her early years in Louisiana and graduated high school there before moving to Texas. She worked for many years at NASA as an Environmental Specialists Supervisor and later for the Port of Texas City, TX retiring after many years of service. 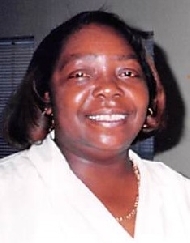 Willie Mae was a devoted and loving mother, daughter, sister and friend. She loved her family and friends by showing that to them in every way possible. Her hobbies were cooking, cleaning, sewing, gaming and most of all, fishing. Willie Mae is preceded in death by her parents; grandson, Edwin G. Dickerson, Jr. and many other relatives. She leaves to cherish her memory, her adoring family: children, Aaron “BUM” Chambers and Charolette Ann Nimer; siblings, Lillie Mae Nimer, Lois Williams, Melinda Nimer-Batiste (Isaac), Wanda Nimer, Lloyd Williams (Helen), Richard Nimer (Chandra) and Willie Nimer, Jr. (Pam); granddaughters, Raiauna Barnes and Madison Nimer; great-grandson, Brandon Washington. There are many friends and family members who loved and cherished her memory. She will be greatly missed by all who knew her. There will be a Public Visitation Monday, October 9, 2017 at 10:00 am followed by A Celebration of Her Life at 12 Noon. Both Services will be held at Carnes Funeral Home, 3100 Gulf Freeway Texas City, TX 77591. 409-986-9900. The Burial will immediately follow at Forest Park East Cemetery, 21620 Gulf Freeway Webster, TX. The Family will receive friends at The Front Door Club, 6106 FM 1765 Texas City, TX 77591 for food and fellowship following the Burial. The family wishes to thank everyone or their kindness and consideration during this time as they celebrate the life of Willie Mae Chambers. Memorials may be sent to the Funeral Home.